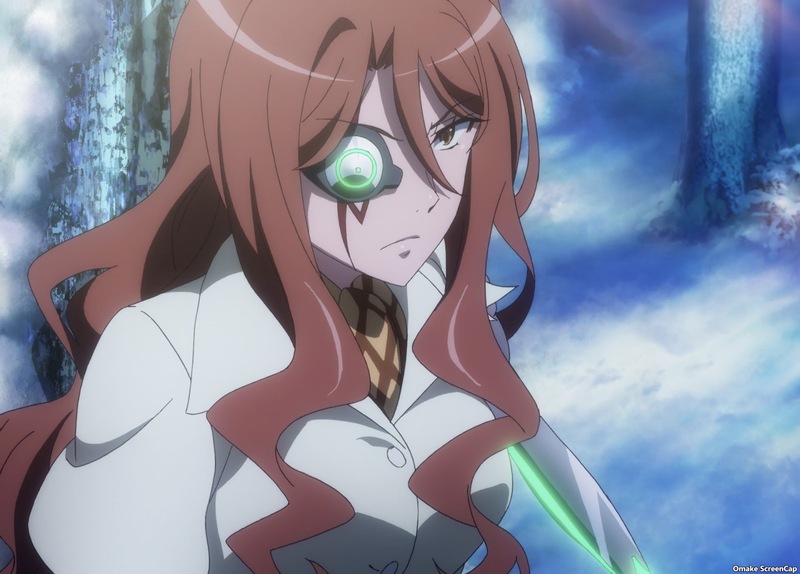 Touma defeats Fiamma but pays a price in saving the world from the crashing B'Tselem structure. Season Finale. #26 - "Son of God"
Well, that's over. Season Four in another 8 years? Accelerator turns his chaos wings into angel wings. They even gave him a halo! Misaka Misaka must be wondering just how long she was asleep. They just reunited and and he's flying off again. 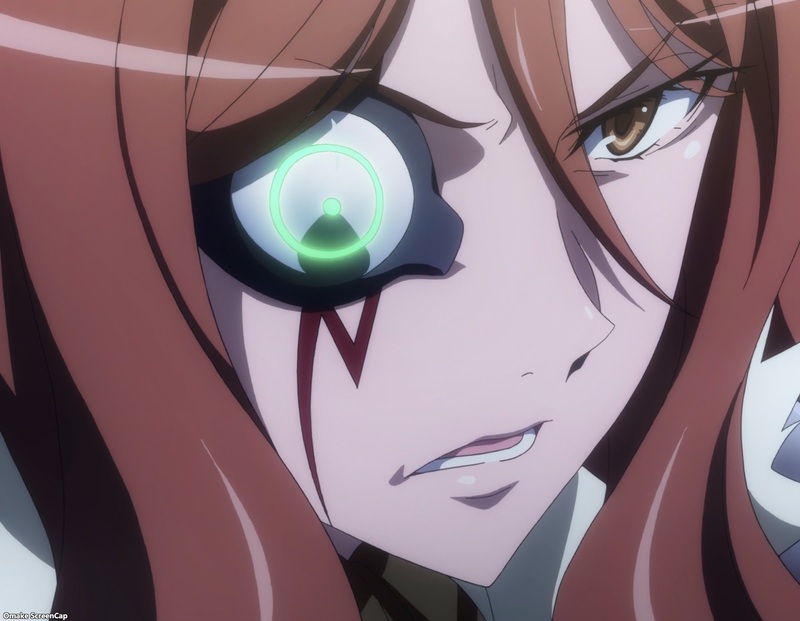 After seeing him at his worst, what a payoff for Last Order to see her big brother become a bishounen hero. 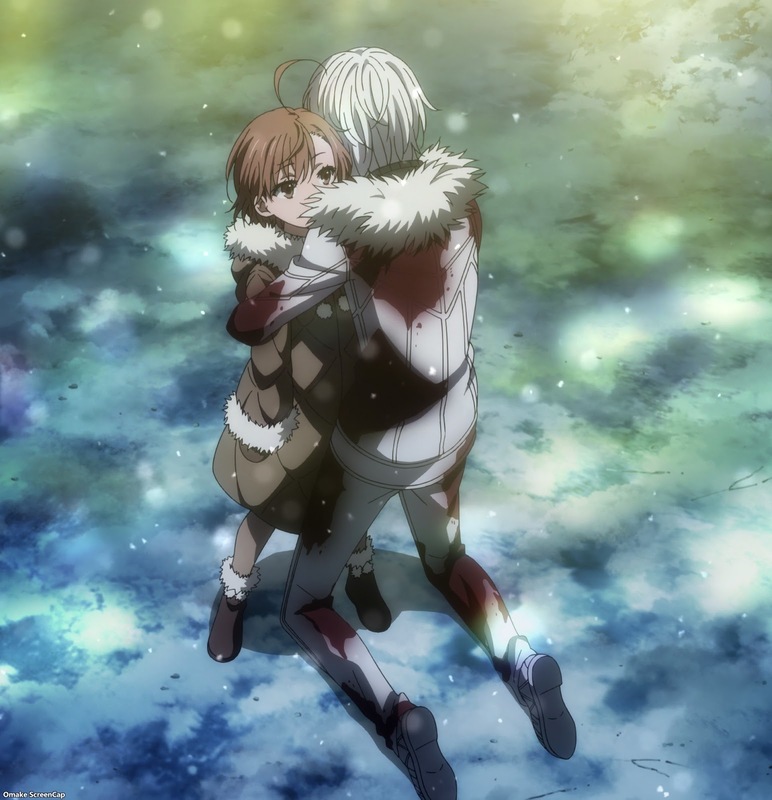 Accelerator likes that feeling of fighting to protect someone. Welcome to Touma's world. But how effective was he really in helping take down that flying island? Itsuwa is so far away from Touma. It's all about the biri biri now. How is Touma floating in the air between platforms when he punches Fiamma's attacks? That's a new thing for Touma's fist - some kind of energy radiating away from it. He's actually learning to control his power? TKO. Touma had the better fist. B'Tselem had a monorail and escape pods... It's like it was the Christian version of Academy City. Yeah! Misaka and Mikoto. Nice glare from biri biri. Always bickering with each other. True love, y'all. Welp, the hero has to do hero things, so he's not leaving yet. 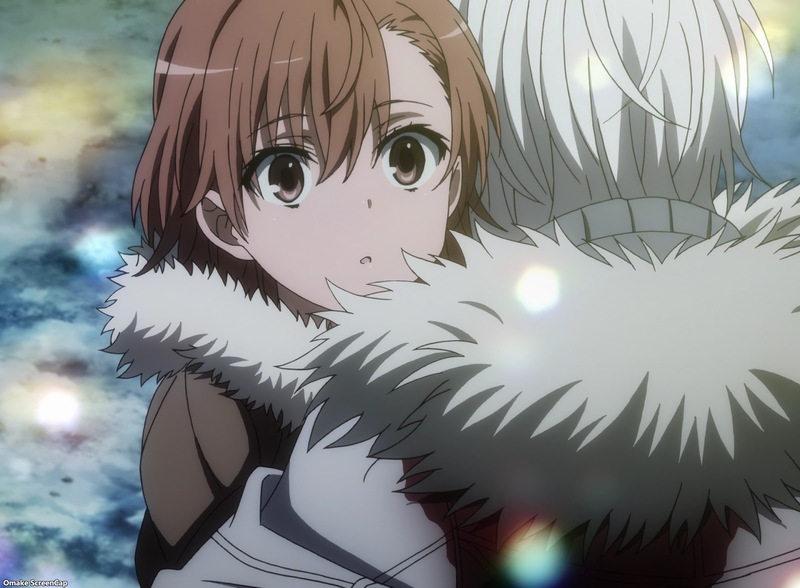 Mikoto can't even drag him to the plane with magnetism because of his negation powers. Aw. Index can talk to Touma through the remote control. 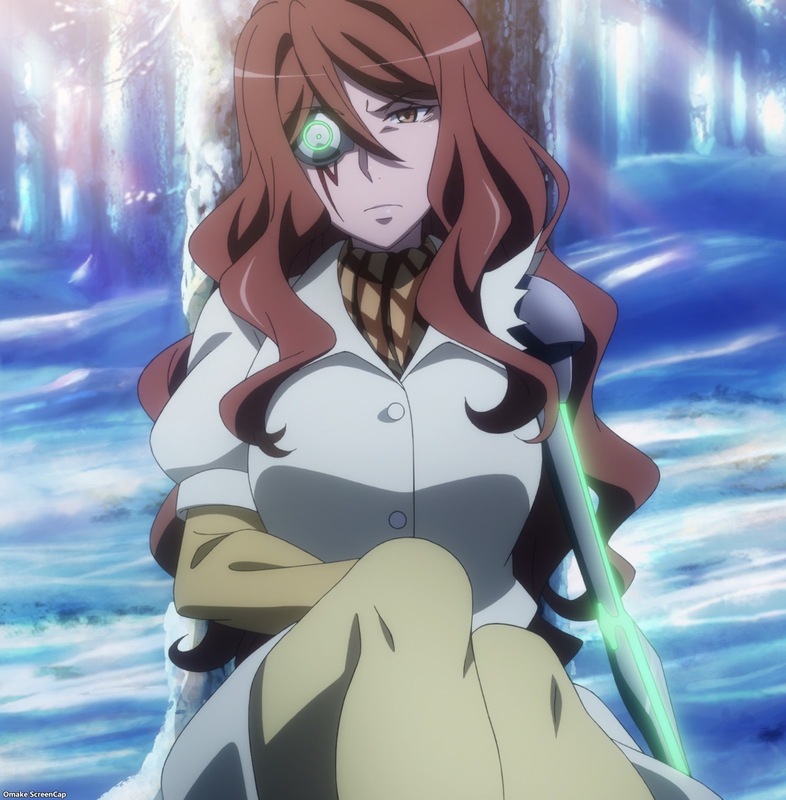 I guess Index's personality was stuck in there when Fiamma took it from her. Again, more of this loud noises obscures dialog convention. We know he confessed to having amnesia and lying about it, so why hide it? 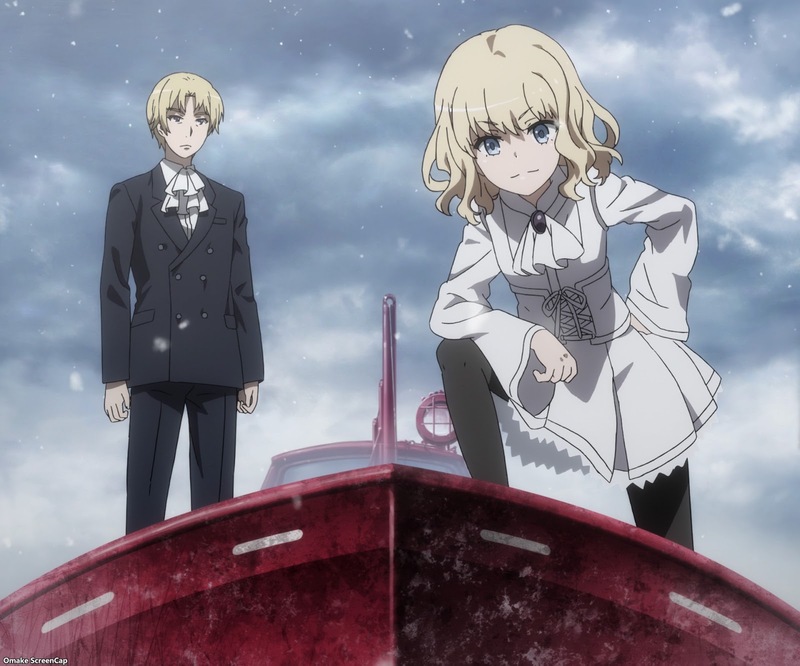 Touma's going to try to put B'Tselem in the Arctic Ocean by selectively destroying certain magical engines, but Misha isn't having it. Does she want the built up magic in the thing to regain a physical body? Touma needs to punch one more bad guy before this show is over. ITEM needs an epilog before they go on the run. Hamazura's outrageous fortune needs one more time to shine. Huh. Rikou was Academy City's main objective. She could become the 8th Level 5. Sure. Those villagers were awfully nice to ambush those soldiers. Hamazura is cold and hard with a gun in his hand. His reputation keeps growing. And he's spouting off the villain lines like Accelerator too. Accelerator was captured? How? Why? Whatever. We'll see Mr. Triumphant Return in the Summer. And now we'll get some setup for the next season coming out in 8 years. Aleister Crowley has some words to exchange with Fiamma about what he saw beneath Touma's right arm. Crowley, the founder of Academy City, used to be known as the Golden Sorcerer. His "above god" project has been going through all the magics and now the sciences. He says Touma's arm was an "unsuccessful, outdated plan," but it contains "a certain sort of power," like Academy City. We're getting closer to explaining the titles of all these novels. Kamijou is more than the Church. Fiamma just learned that the hard way. Kazakiri is talking to Aiwass, angel to angel. They need to get Accelerator to join their club. Aw. Mikoto got her froggy strap back. No worries, though. Touma is very hard to kill. Ah. Touma is alive, and getting recovered by that loli sorceress who knows he says "misfortune" all the time. I suppose he'll be doing the disappearance time skip plot thing. In another 8 years maybe Touma will have learned to use his power from this band of failed gods. On the whole, that was a terrible anime adaptation. All the parts with Touma's story were great. Everybody else's story, terrible. Please, just use name cards. Part of a novel's introduction of characters and their development can use the lack of names as building up a mystery and anticipation of who they are and their motivations. In an anime adaptation where we'll find these things out in two minutes, there is no point to waiting until someone speaks their name and organization. It's called an adapatation for a reason. 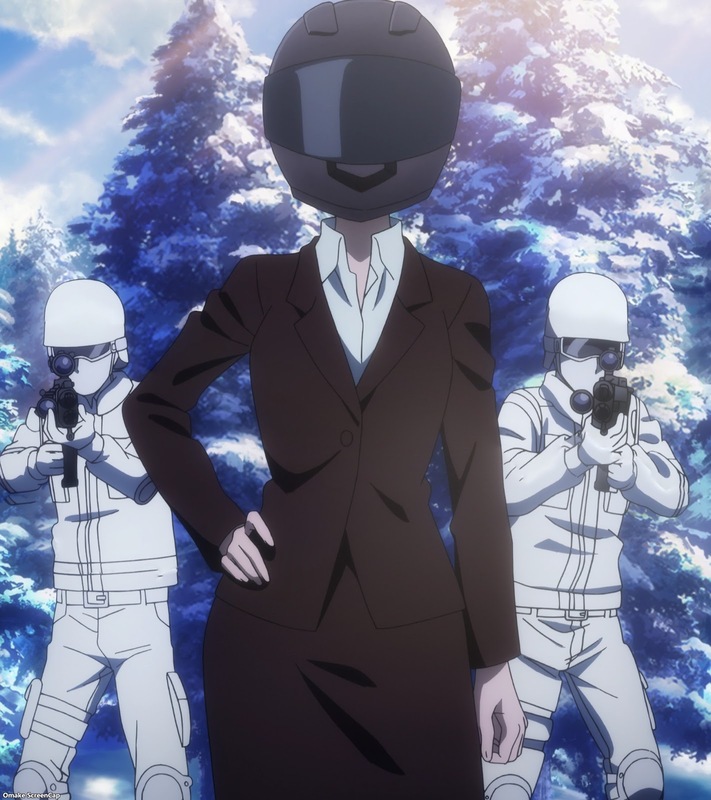 It was clear that the only reason we had several week long story arcs following Accelerator and Hamazura was so they could be placed in Russia for World War III. That's fine, but there were clearly a bunch of scenes that could have been added from the source material to make more sense of their plots while cutting out whole threads that were absolutely not necessary. An example would be how Last Order was supposedly poisoned and needed to go to Russia for the cure. How do we know this? We just took Accelerator's word for it. Maybe animate that instead of all the Aztec magic crap that wasn't necessary to get us to Russia. I can't complain too much about Touma's story. His interactions with Index and all the other girls, especially meeting the Queen of England and her daughters was absolutely a treat to watch. If I were to binge watch this, I would skip all the GROUP and ITEM arcs until the last episode of each, just to see the explanation of what happened from some character's recap dialog scene. All the Russia stuff outside of Touma was a mess as well, just because they were all built on the quicksand foundation of their previous treatment. I waited 8 years for this, just to get bogged down by half of the episodes watching Accelerator claim he wasn't a good guy and watching a crazy laser powered stalker try to boil Hamazura's bunny. 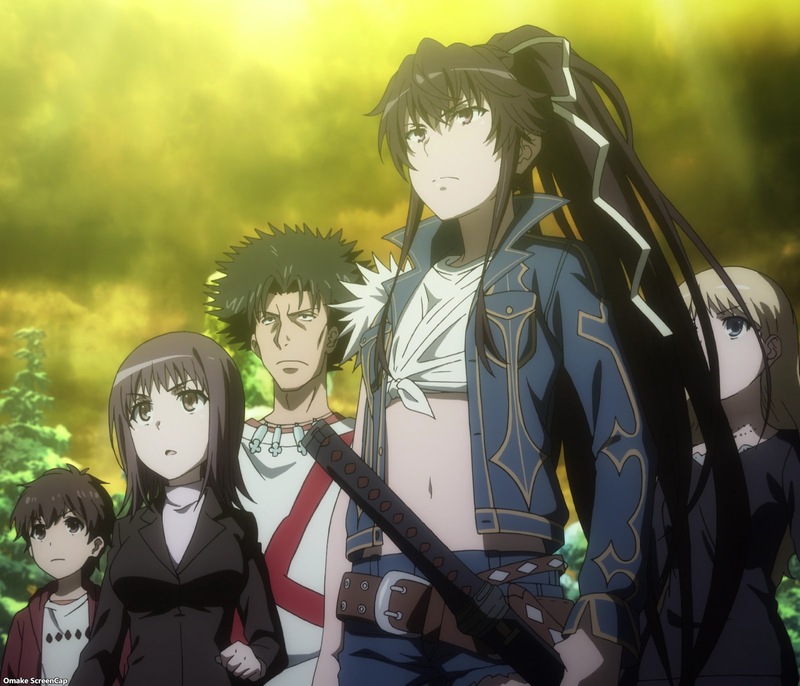 It was a mixed bag all the way around for anime only fans and for light novel fans too.